How do I search and browse for items? How do I use your Ink & Toner finder? How do I register as a customer? How can I receive a VAT invoice? What are your delivery costs? How do I return a purchase? How do I submit a query or issue about my order? Can I make payments securely online? Are my account details saved securely? All copyrights, trademarks and trade names are acknowledged. Prices and/or product specifications are as published by named suppliers on their own website(s) on the date(s) shown and may be varied at any time without notice. Prices compared assumed all products offered are of the same specification on the applicable date(s). Information shown here is for personal use and guidance only and does not constitute any contractual representation or warranty. Liability for errors, omissions or consequential loss is expressly disclaimed. Prices shown exclude VAT, discounts, special offers, promotions, delivery charges etc which may alter the final price payable by the customer from the published price. Our low price guarantee is subject to the terms and conditions set out below. These terms supplement our other terms of business on our website. Who do you need to be to benefit from our low price guarantee? To claim your low price guarantee you need to be a business customer. If you are not already one of our registered business customers, you will need to register as part of your first purchase from us before you can take advantage of our low price guarantee. We will credit you the difference when you place your first order with us. Please make sure you contact us before your initial purchase, or simply call us on 0800 3163876, Monday to Friday 9am - 5:30pm and we'll help you place your first order on the phone. What is the maximum amount of the low price guarantee? In order to avoid issues with typos, etc – we reserve the right to cap the amount by which we will reduce our prices to match those of a competitor to an amount equal to 30% of the price that we advertise on our website. What do we mean by 'same sale conditions'? The payment terms need to be the same. What products are not covered? Bespoke products, items made to order and special orders. What prices do we match? The price from the competitor must be available at the time you place your order with us. the competitor's price is below our cost price. Do you have an example of how you would refund 10% of the difference? 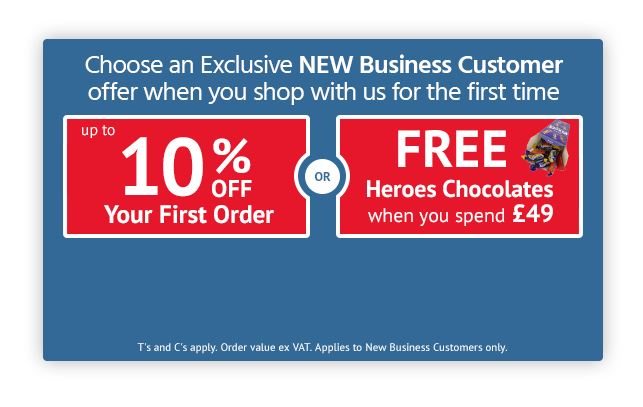 If you wanted to buy Product A for £10 and identified a competitor offering the same product for £9 (and subject to all of the terms listed above) then we will refund the price match, in this case £1 plus 10% of the difference of the prices which would be £0.10. In this example you would receive a total refund of £1.10.